I have been living here in Boulder now for about one year and never ran out for a quick one right after it snowed. There was always some excuse like having no spikes for my shoes (good excuse actually) or being out of town, or being occupied by work, or thinking it’s too cold, or just not feeling like. Well, today we had a bit of snow, not a lot, maybe about one inch or less, I had a few minutes between meetings and decided go for a run. Got this one at the top of Dakota Ridge. With a short video clip to follow. 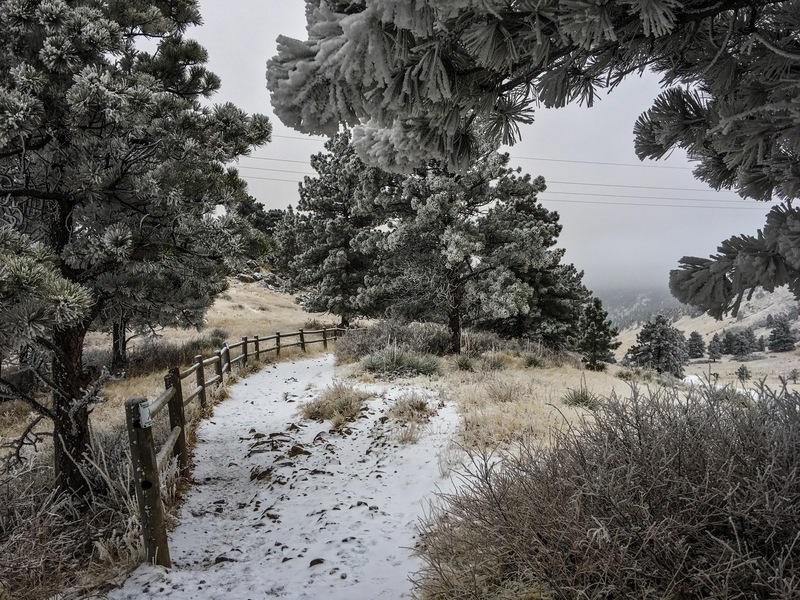 This entry was posted in Boulder, Colorado and tagged Dakota Ridge. Bookmark the permalink. Great Photograph! Such a graceful roll into the landscape, it calls one to step through it. Thanks so much for sharing our video. It took me to a place that I could have never gone…being 78 almost and from flat land Florida. Loved it!